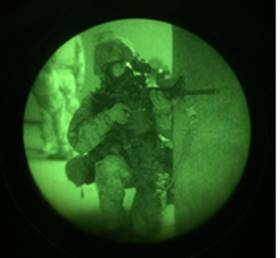 The 1-508 PIR SITREP for 09 March – 22 March 2018 is below for your review. 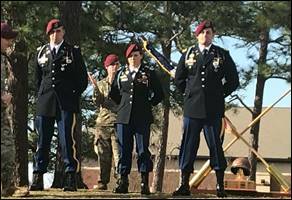 1-508 PIR is proud to report that 1LT Poag from B/1-508 PIR won the 2018 3BCT Janney Competition. 1-508 PIR also had honorable mentions in the Janney Competition with four lieutenants in the top ten, as well as the Top Ruck, 2LT Townes, and Top Shot, 1LT Vince. 1LT Poag wins the 2018 3BCT Janney Cup! 2LT Townes (left) and 1LT Vince (right) are recognized as Top Ruck and Top Shot respectively. The 1-508 PIR priority over the past two weeks was squad and platoon collective training at Fort AP Hill, VA, and testing new developments in the “Integrated Tactical Network” (NWFI). 1-508 PIR is pioneering subterranean and megacity training under chemically contaminated conditions. 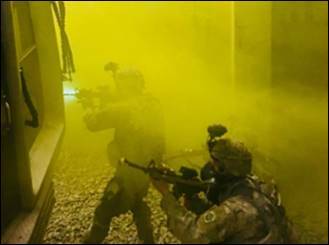 Following squad live fire exercises, platoons refined their tactics, techniques, and procedures in these environments as part of readiness training which included platoon level air assaults. 1-508 PIR integrated and trained with MALS and NGALS lasers during squad live fire training by installing them on primary weapons systems to increase the accuracy and lethality of individual Paratroopers on the battlefield. After zeroing lasers with the guidance and coaching from PEO Soldier on day one, the squads dramatically increased marksmanship accuracy during both day and night iterations. The precision capability of visible lasers during day light conditions, and the increased field of view capability during nighttime conditions provided the increased capability leading to improved performance. 1-508 PIR also conducted familiarization training for 320 TPT and hand grenades. The 3BCT Bataan Death March team, led by CPT Haver, continued training this week by completing two 8 mile ruck marches and a 12 mile ruck for time. 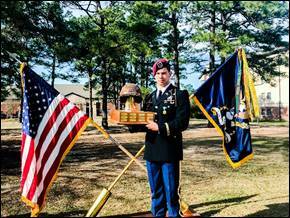 They are poised to conquer the competition this weekend and bring the trophy back to Fort Bragg. 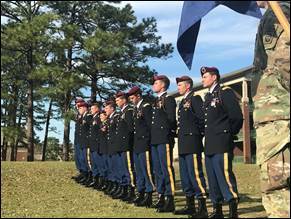 Concurrent training opportunities allowed the medical platoon to certify 44 new CLS+ Paratroopers. Additionally, each platoon mission profile incorporated MEDEVAC training and patient decontamination skills training. 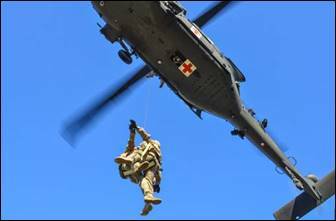 1-508 PIR also conducted over 18 hoist missions with the support of the 82nd CAB where Paratroopers were able to conduct live hoist training and rescue randy training hoists off of urban structures. Medics also evaluated Paratroopers during trauma lanes in an urban environment, training Paratroopers how to treat casualties in a contaminated environment. The Medic Platoon also certified 44 CLS+ Paratroopers as part of concurrent training. Paratroopers operate in a contaminated environment. 1-508 PIR Paratroopers hoist a casualty out of an urban environment. 1-508 PIR deployed to Fort AP Hill intent on operating fully on the Integrated Tactical Network, formally known as Net Warrior Future Initiatives (NWFI). Companies outfitted with individual Paratrooper radios and End User Devices, Battalion Mission Command equipment, DAGOR mounted Mission Command equipment and transmission relay drones equipped with TSM radios made up the comprehensive communications architecture. Passing both voice and data completely over the TSM waveform, without the use of 4G, and increasing the max node (radio) count to 239 were the most significant break throughs. An incredible amount of data and lessons learned were collected by 1-508 PIR and the Cross Functional Team (CFT) during the event. Although the team is working to improve upon the lessons learned, we are confident the ITN can enable us to effectively synchronize across WFF and fight. 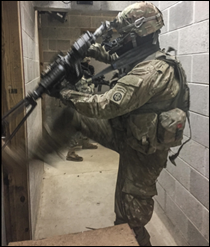 1-508 PIR received subject matter expert recommendations and oversight from the Asymmetric Warfare Group while training collective platoons in subterranean and dense urban terrain. Platoons refined tactics, techniques, and procedures for dense urban maneuver and maneuver in subterranean environments, culminating in “full mission profiles” in these environments against an OPFOR. 1-508 PIR also conducted platoon air assaults with the support of 2-82 AHB. The air assault timeline provided each platoon the experience of conducting deliberate air assault planning, conducting an AMCM and AMB to standard, and executing a planned platoon infill and exfil via rotary wing assets. 1-508 PIR TOC conducted a Joint VFSCX, calling for fire with organic mortars and a simulated F-15 & MQ 1. 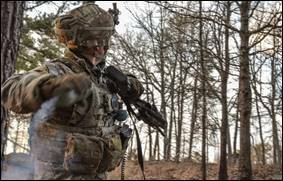 In conjunction with attached JTACs, 1-508 PIR conducted ground & air space de-confliction, determined most effective weapons solutions, and prosecuted enemy targets with approval from the Mission Command node in the C2 helicopter. 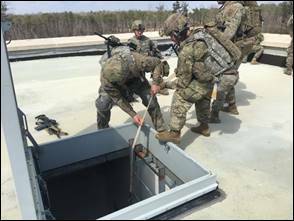 While the main body of the battalion deployed to Fort AP Hill, the battalion continued to execute maintenance, both at AP Hill and Fort Bragg, and turn in excess pieces of equipment. In order to support of the training at AP Hill, J Co maintained a small contingent of Paratroopers forward which provided small arms repair, on the spot automotive fixes, and shop office capabilities. 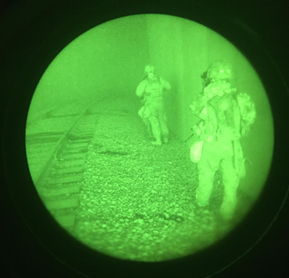 At Fort Bragg, the automotive section completed services for 13 pieces of rolling stock, the small arms and C&E section completed two companies’ worth of weapon services, one company of NVG services, and repaired over 20 sets of NVGs. The battalion also completed six DST directed PSDs, resulting in the turn in of over 30 pieces of excess equipment, and executed its daily recon of the SSA. Over the next two weeks, the maintenance platoon will support the battalion's recovery from AP Hill. The automotive section will receive all broken equipment while the shop office will concentrate on completing inventories and recons with the SSA. The small arms and C&E sections will continue to perform scheduled and unscheduled services in order to maintain zero overdue services for the battalion. 1-508 PIR conducted SQD LFX at Fort AP Hill from 13-15 MAR. 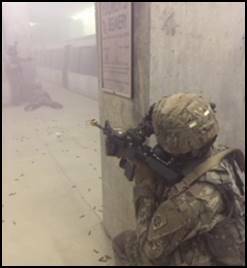 All three line companies execute simultaneously on three different ranges- during which each platoon cycled through a MOPP 4 Battle Drill 6 LFX certified the HHC command team. While the line companies maximized the use of the squad LFX lanes, the Mortar Platoon executed a CFF LFX employing 60/120mm HE and a fire team dismounted maneuver LFX. Scouts wrapped up our LFX week conducting a withdrawal under pressure LFX. 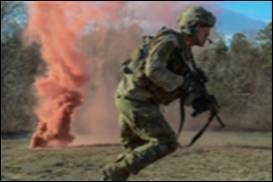 A Paratrooper screens his element by throwing a smoke grenade during SQD LFX. Paratroopers clear a trench during SQD LFX. A 1-508 PIR Paratrooper seizing ground during SQD LFX. 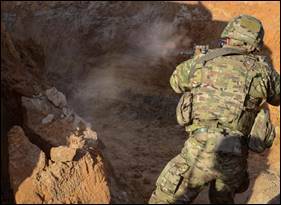 1-508 PIR trained for future conflicts with a near-peer threat by training at the Asymmetric Warfare Training Complex. Platoons received instruction from the Asymmetric Warfare Group (AWG) and were able to train on maneuvering in dense urban terrain, focusing on maneuvering from structure to structure while remaining cognizant of the many variables present in urban warfare. Paratroopers enter and clear rooms while training in dense urban terrain. Additional training that the AWTC offered was the opportunity to train in a subterranean environment. AWG provided instruction on how to operate in a subterranean environment. Platoons learned techniques for navigating in tunnels, methods for extracting casualties, and best practices for fighting in tunnels. D/1-508 Paratroopers raise a casualty using 3/4" tubular nylon and a tow strap. 1-508 PIR reenlisted five Paratroopers while at Fort AP Hill. 1-508 PIR nominated CSM Rock Merritt for inaugural entry into the All-American Hall of Fame! 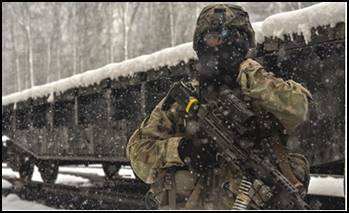 Over the next two weeks 1-508 PIR will focus on recovery and maintenance operations in preparation for platoon live fires.